Joe D'Augustine Memorial Duals Charity Wrestling TournamentThe varsity wrestling team is hosting The Joe D'Augustine Memorial Duals Charity Wrestling Tournament at Waldwick HS sponsored by the Waldwick Recreation Wrestling Association on Saturday Feb 2. Start time is 9:00am. Please come out and support such a worthy cause. In the year's second meet, held in December, freshmen Peter Stahl and Dan Scherb, each of whom made only two mistakes, both placed among the 93 highest-scoring ninth graders in the entire country. More than 58,000 students from 46 states (and four foreign nations) entered the meet. The school's participation was overseen by Amy Baskin and Liz Getlik. Our 1st CAREER CAFE of the year is scheduled for JAN. 31st. Our speaker, Christine Figliuolo - is the founder of Creations By Christine Events, LLC. She has been planning weddings since 1995. Christine became interested in event planning while working as a Producer for HBO. Mrs. Figliuolo has been the President of the Waldwick Chamber of Commerce since 2007. Sign Up Instructions can be found here. Any questions please stop by the Guidance Office. 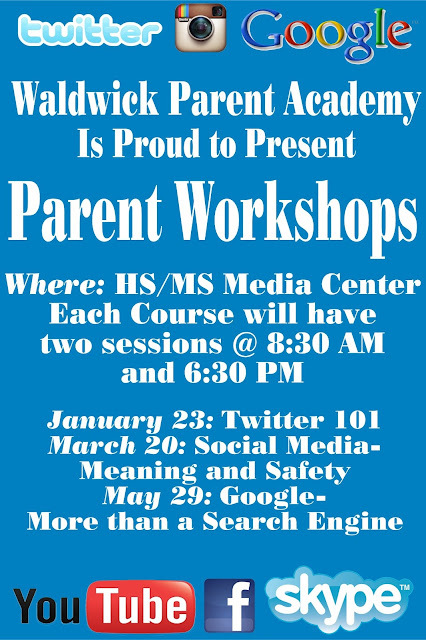 The Waldwick School District is excited to introduce the first workshop from the Waldwick Parent Academy. This year we will be offering three different workshops on technology. The first workshop will revolve around Twitter, and will be offered twice on Wednesday, January 23rd. The first at 8:30am, and the second offering will be at 6:30pm. Mr. Carroll, Ms. Hummel, and Mr. Sussman will discuss how to create an account on Twitter, how to use this application, and how we are safely and successfully integrating Twitter into our schools. Participants will gain an understanding of how to connect with other users around the globe, as well as building their own Person Learning Network. 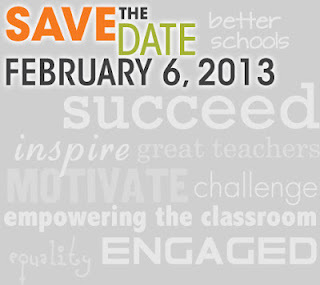 Waldwick High School will be participating in the second annual Digital Learning Day hosted by the Alliance for Excellent Education on Wednesday, February 6, 2013. According to the New Jersey Department of Education, this day provides an opportunity to highlight the great lessons and activities teachers, librarians, principals, and district leaders are providing for students. Since it is the Waldwick High School mission to educate and guide students to achieve their fullest potential, become lifelong learners, and be responsible, productive citizens in a global society, Digital Learning Day is the perfect opportunity for staff members to showcase the types of innovative activities they are using in their classrooms every day. 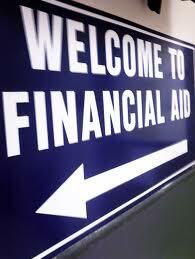 Last week Waldwick High School hosted a Financial Aid Workshop. We hope you found it very informative. 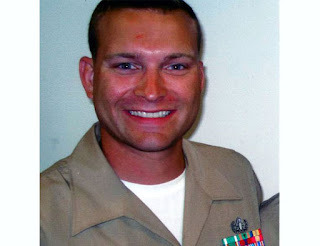 Our speaker, Mr. Kimber Decker has graciously provided us with the handouts he used at this presentation. They have been uploaded to the Guidance website for your review and use. The files can be located under the “Financial Aid Links” heading under the Guidance link on the High School Website. I grew up in Brooklyn and Queens with my siblings Romeo and Juliet (yes, my parents loved Shakespeare). I attended Baruch College in New York, where I majored in Advertising. After I got married to Haris and had my first son, Harry (now 19), I moved to New Jersey and worked on my degree in elementary education. I've worked in a Newark Charter School for over 13 years as a classroom teacher, and most recently as the Reading Recovery teacher. During this time, I pursued my Masters degree in Special Education (LDT-C) at William Paterson University. My youngest son, Dylan, is a 13 year old middle-school student. What made you choose Education as a career? MATHEMATICS Maria Umana – Maria is a pleasure to have in class. She is currently a freshman in Algebra I. Maria is a very motivated student; always demonstrating a terrific work ethic and a positive attitude. During class time, she is always focused and on task. Maria is very conscientious about homework and class work. She works well individually and in a group. Congratulations to the Boys Varsity Basketball Team on winning the Frank Baldachino Chirstmas Bell Tournament last week. The boys beat Ramsey HS is the first round and beat Hawthorne Christian 36-34 in the championship game. The team plays again at 7pm on Tuesday Night at home against Hawthorne Christian. Looking forward to see and hearing the #Warriornation!